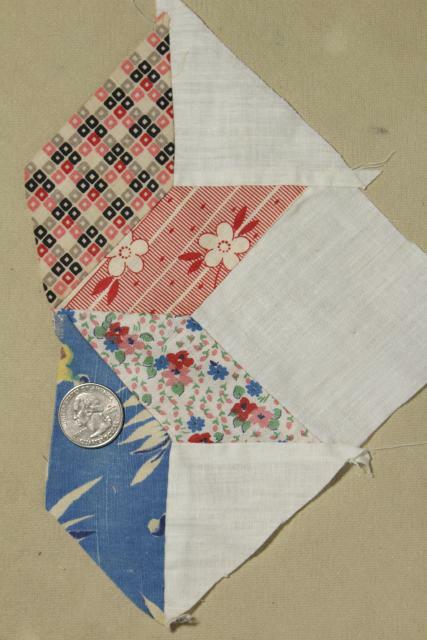 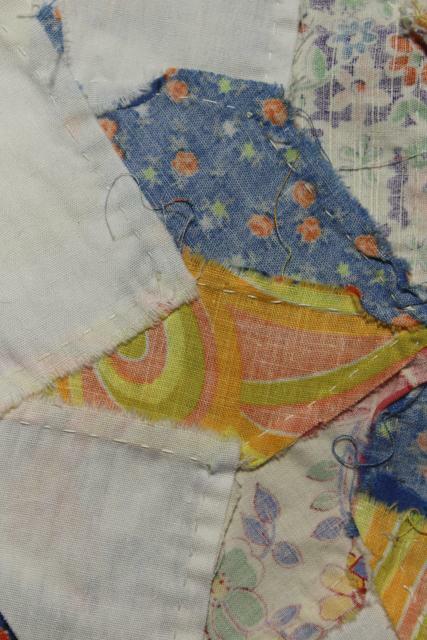 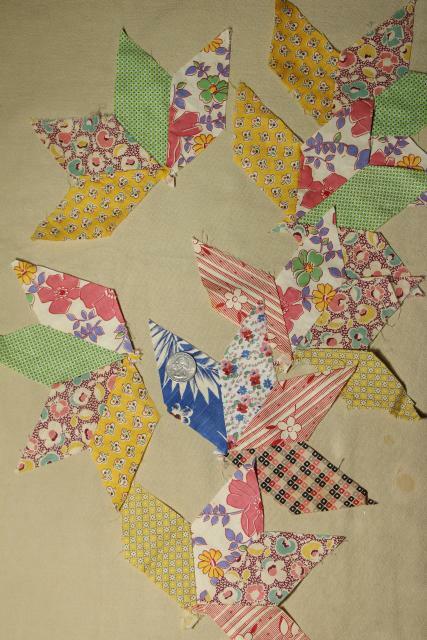 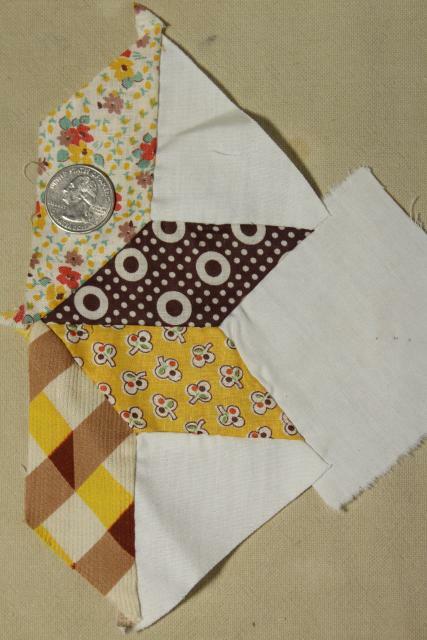 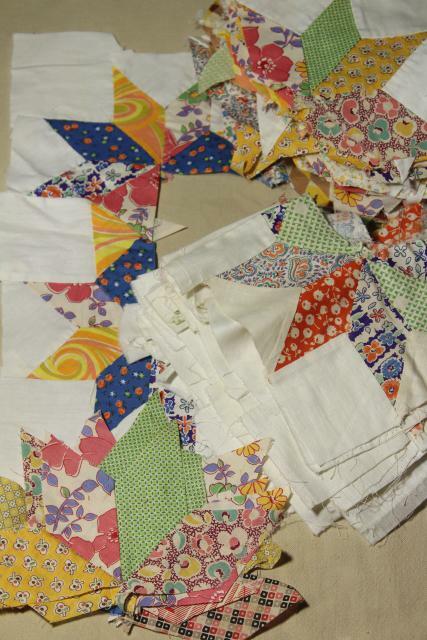 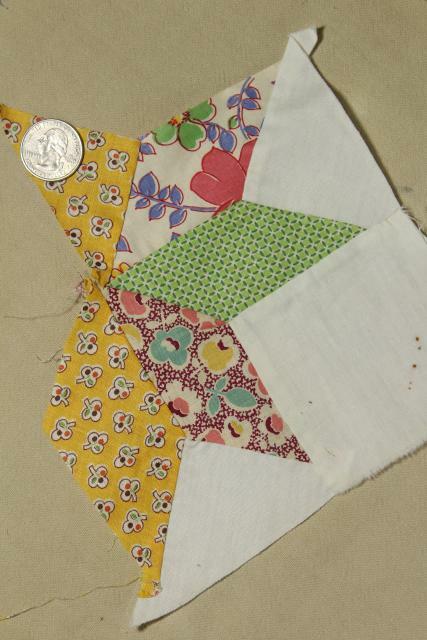 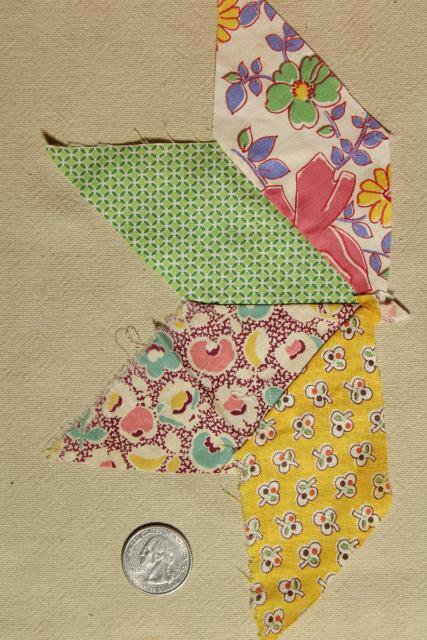 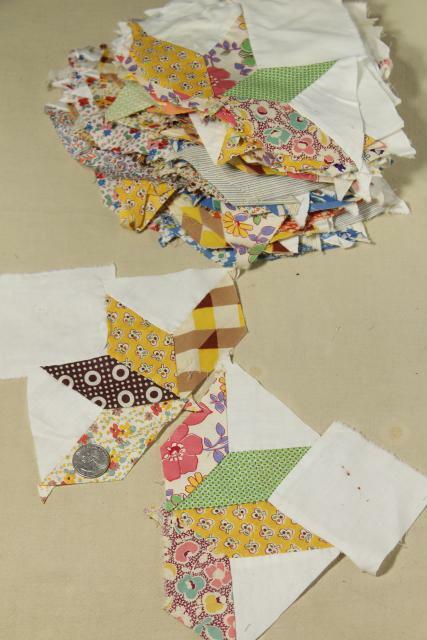 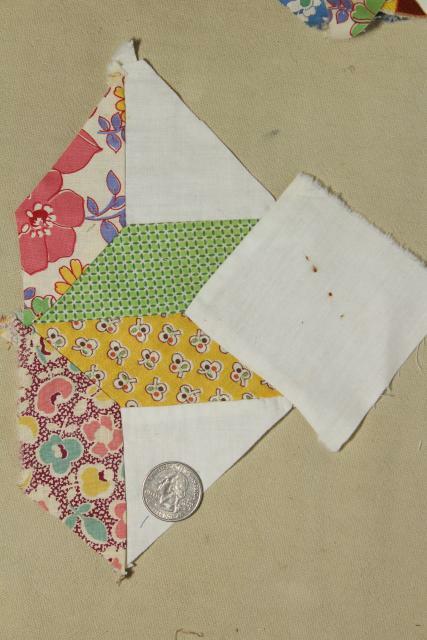 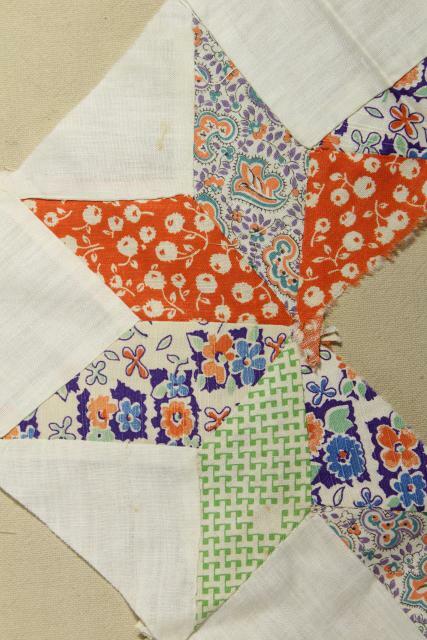 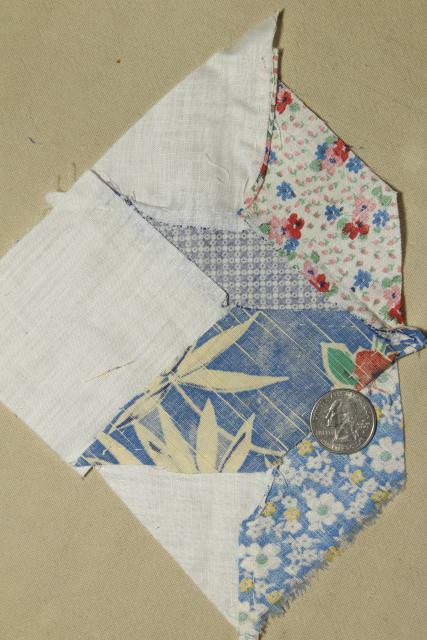 Vintage 1940s or early 50s quilt blocks pieced of period cotton fabrics, lots of great old prints here! 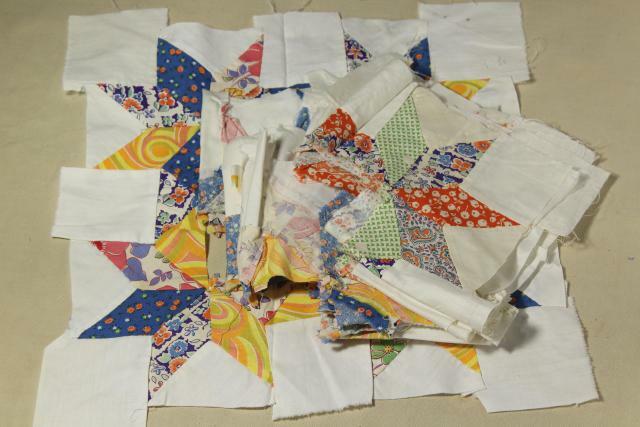 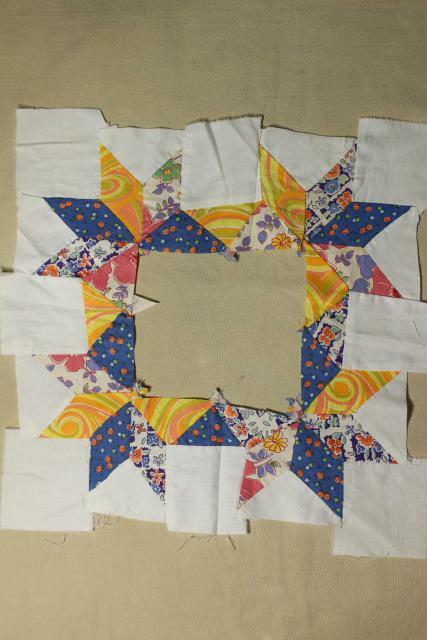 There's 98 pieces in all, most half stars needing to be assembled, some with the block around them, some just the stars. 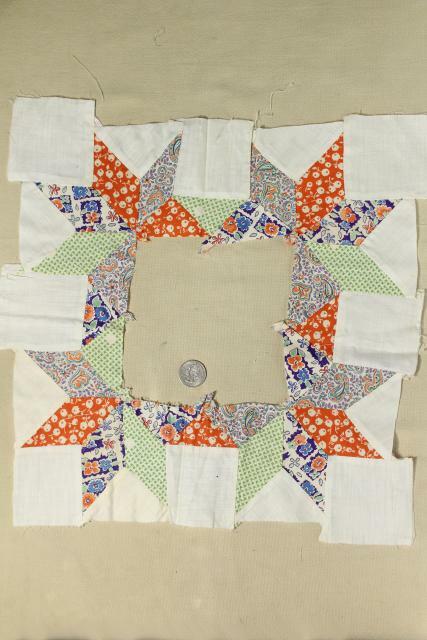 Finished stars measure about 8 1/2" across the points. 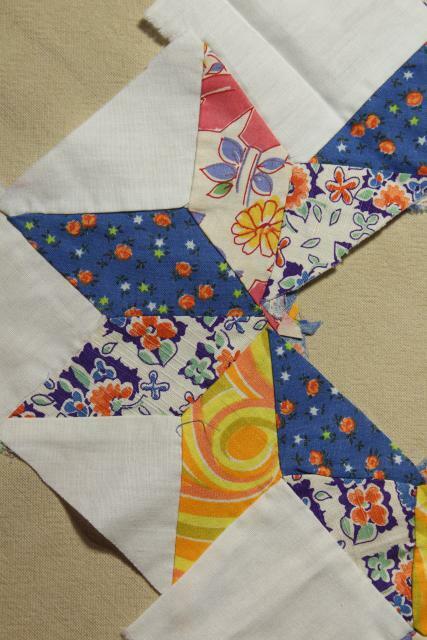 These pieces have some rusty pin holes, but overall look pretty good without a lot of yellowing or discoloration.